Get off at the James's Luas stop. 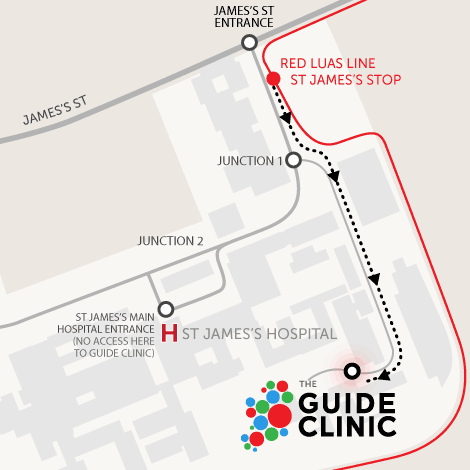 Follow the road towards the main hospital and take the first left at Junction 1. Follow the road for 200m and to your right will be Hospital 5. Turn here and the GUIDE Clinic is on your left after 20m.